Next week my husband turns 30! He didn't want a big to-do, so instead of a party we're heading down to Cornwall for a week! Since our working patterns changed we don't have much time together on our own - he doesn't get home until 7.30pm most nights, and as I work on a Saturday we only get one day off a week together now so we're both really looking forward to spending an entire week on our own in our favourite place! We'll be staying right on the coast in St Ives and will be able to gaze out over Porthemeor beach right from our apartment. Apart from the four years we spent in Leeds at University, I've always lived by the sea, my parents live about a ten minute walk away and I can drive there in 20, but somehow I don't seem to appreciate it like I do in Cornwall. There's something magical about that part of the world, the light, the vastness of the sky, and the inky blue depth of the sea. I love getting in from a walk, with my hair full of salt and my cheeks chapped by the often biting winds rolling in off the sea. Can you tell I'm exited! 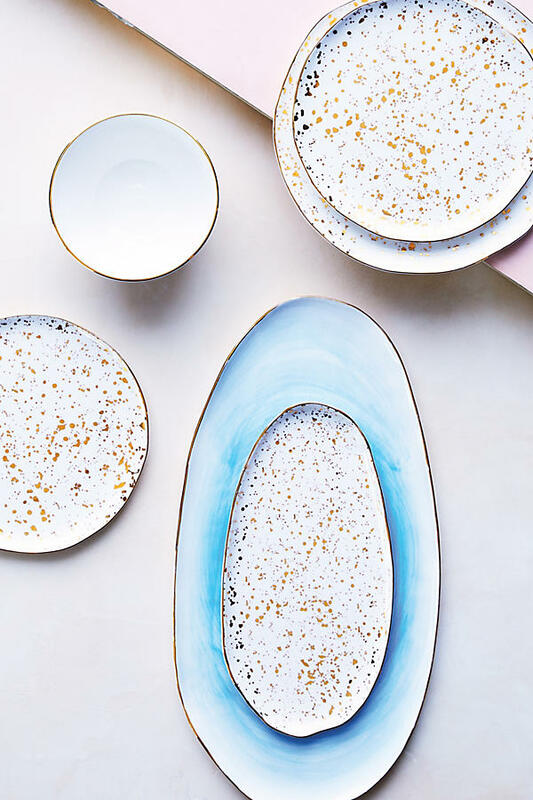 You can always count on Anthropolgie for beautiful homeware, and I really love the combination of watercolour blue and flecks of gold in these Mimira platters. There's a whole collection of matching crockery but I think these would look great as the standout piece among some simple white place settings and gold toned cutlery. Yup - another mug! Well, you can never have enough favourites. 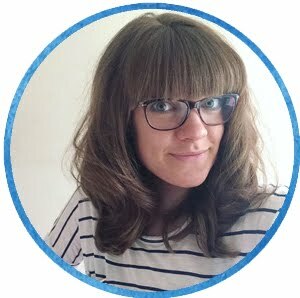 I've been following Megan's work over on instagram for a few weeks now, excitedly awaiting the reopening of her etsy shop! 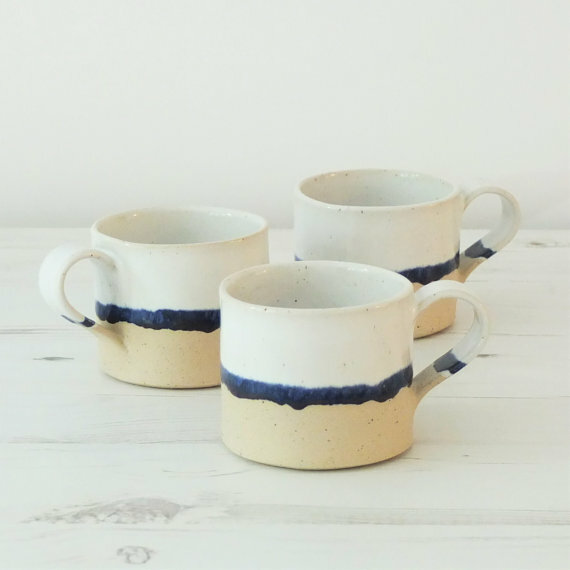 She has some beautiful ceramic crockery, planters and other homewares and some of my favourites are these simply glazed mugs. My favourite part is the way the navy stripe continues onto the handle. 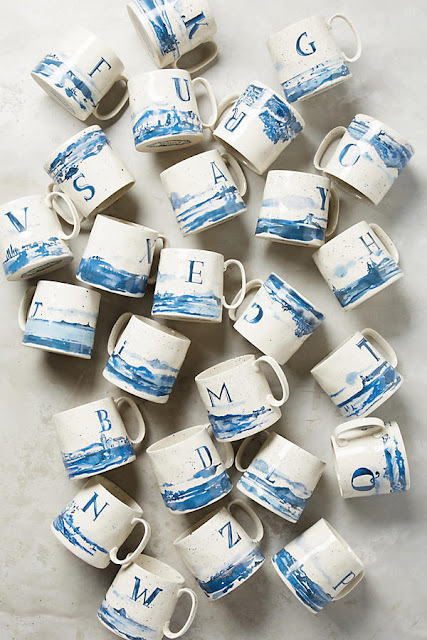 They simultaneously make me think of lapping waves and the distant horizon. I think it is the combination of simplicity and unadulterated materials that make this macrame garland feel coastal to me. I think it would look stunning hanging behind the bed, against a plain wall to add some texture, or in a summer house or beach hut. 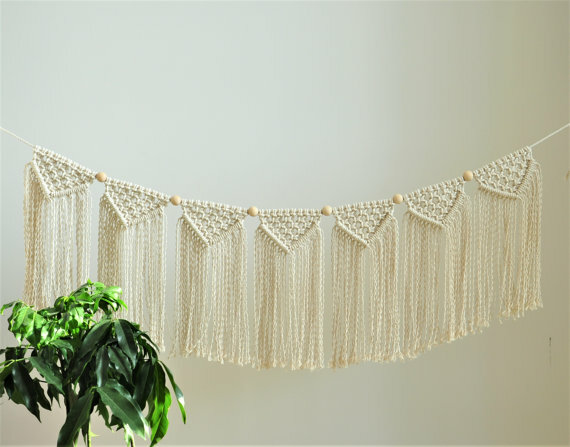 Jagoda, the maker behind Yanyula also makes plant hangers and crochet home accessories, but it's her garlands and wall hangings I love the most. Maybe it's knowing that each knot has been tied by hand, but I find something about them incredibly calming. I'll definitely be back once our coastal bedroom makeover gets underway! 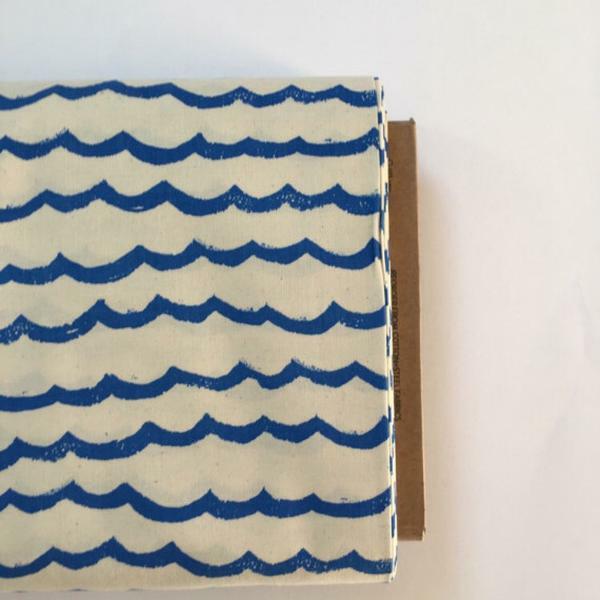 I really love the hand printed appearance of this fabric, and how it speaks of the sea in the most simple way. When we eventually start decorating our bedroom we'll be going for a coastal feel, but not the point of having lighthouses and seashells and seagulls all over the place! This fabric might still be a little too obvious, but I do love it so we'll see! Maybe I could persuade D into a couple of cushions on the bed. I've long been a fan of the Whitby print, and I think this enamel kettle would make the perfect addition to our growing collection of enamelware. 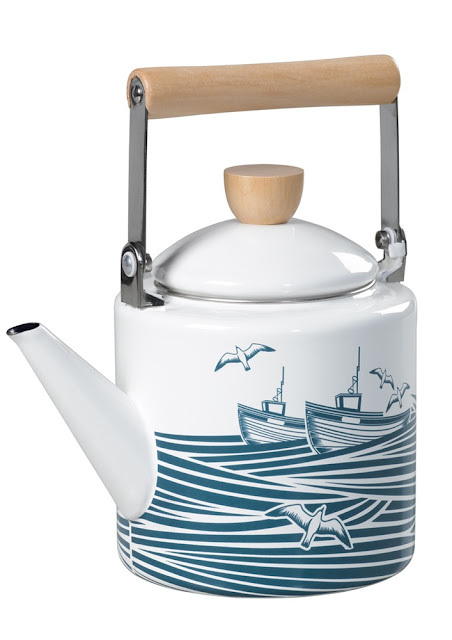 Perfect for taking out to the beach or the woods when a hot cup of tea would be just the thing! We're planning to take the camping stove with us next week and we have an old metal camping kettle (with a whistle that tends to fly off the spout rather than whistle when the water is hot) so we don't really need another - but isn't it beautiful? I probably won't be posting next week as we'll be cramming in as much time together as possible - but I'll definitely be sharing our adventures over in Instagram so be sure to follow me over there if you don't already! 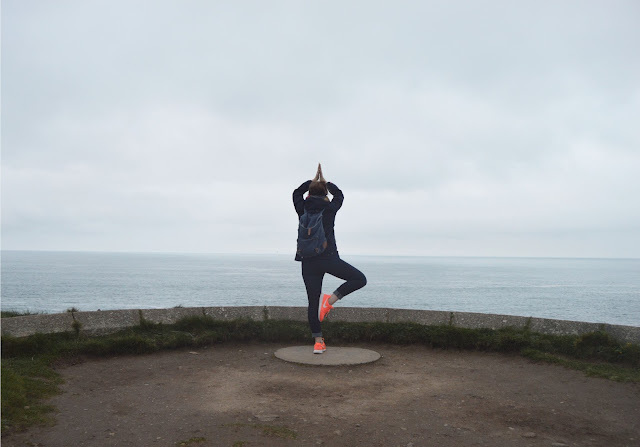 This will be somewhere around my 20th trip to Cornwall so I'm pretty well versed in the counties hidden gems, but if you have any recommendations for places we should visit - shops/cafes/walks - I'd love to know!